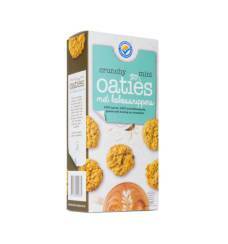 Sponge: (51,6%) [Wheat flour, sugar, egg, glucose syrup, soy flour, humectants: (E420, E422), whey powder (contains milk), vegetable fat (palm), raising agents: (E450, E500), potato starch, emulsifiers: (E471, E475), salt, preservative: (E202), colouring: (E160a), flavouring]. Vanilla flavour filling: (28%) [Vegetable fat (palm), sugar, glucose syrup, humectants: (E420, E422), whey powder (contains milk), skimmed milk powder, emulsifiers: (E471, E475), salt, acidity regulator: ( E330), flavouring, preservative: (E202)]. 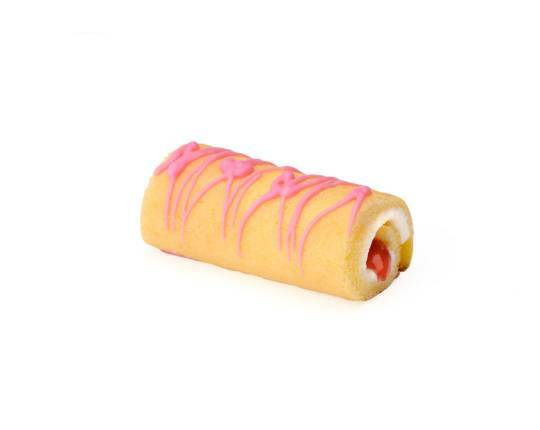 Strawberry filling: (16%) [Strawberry puree (40%), glucose-fructose syrup, sugar, apple puree, modified maize starch, gelling agent: (E440), acidity regulators: ( E330, E331), colours: (E160, E163), flavouring, preservative: (E202)]. 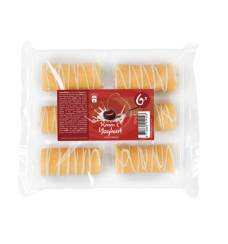 Cocoa compound drizzle: (4%) [Sugar, vegetable fat (palm) , cocoa powder (20%), emulsifier: (soy lecithin), flavouring]. 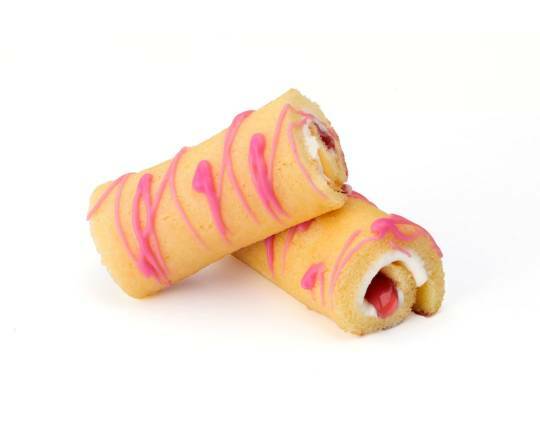 Mini cake rolls contain light cream and are stuffed with raspberry filling. 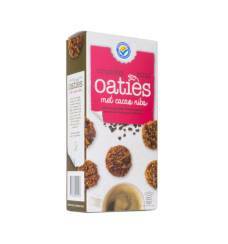 A surprising little treat with coffee or tea. 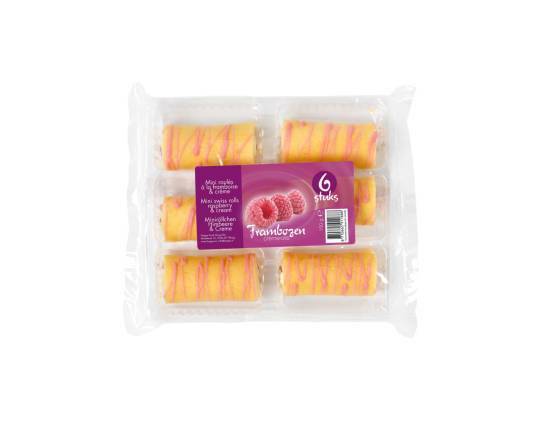 The cake rolls are available separately, in a transparent tray or individually wrapped in a box.